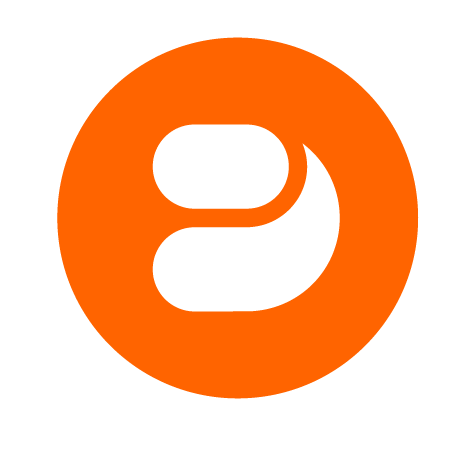 Push Notifications must be enabled in your Provisioning Profile before you build your app in order to send Push Notifications to your users. This article will help you check to see if the service is enabled. 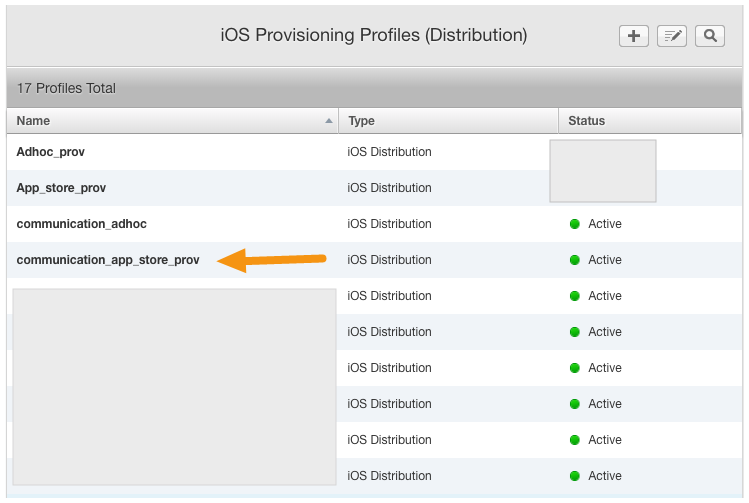 You can check your provisioning profile in AppStore Connect to see if the service is active. This is the easiest, but you can only depend on this method if you are 100% sure that your provisioning profile was not modified after you built your app. If you are unsure of this, option 2 will tell you for sure. You can download your profile from the mag+ Publish portal and open it in a text editor to check if a certain string appears. This guarantees that your profile supports Push Notifications. 1. 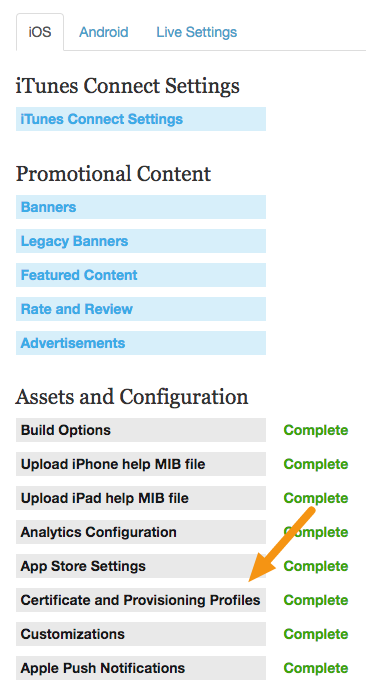 Login to the iOS Developer Console , click on "Certificates, Identifiers & Profiles." 3. 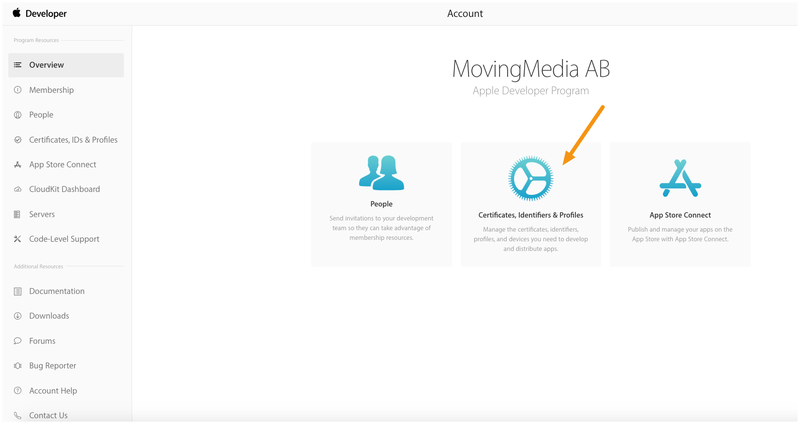 Click on the App Store Provisioning Profile you uploaded to the mag+ Publish portal. 4. A details view will appear that allows you to see if Push Notifications is active. If "Push Notifications" are part of the services enabled for that profile, then you can send Push Notifications to your users. If Push Notifications does not appear, then you will need to create a new distribution certificate and provisioning profile, upload it to the mag+ Publish portal, and rebuild your app. For more information on creating Distribution Certificates, read the article "iOS - Creating a Distribution Certificate and .p12 File." For more information on creating Push Notification Certificates, read the article "iOS - Creating a Push Notification Certificate." 2. Go to Apps > iOS > Certificate and Provisioning files. 3. 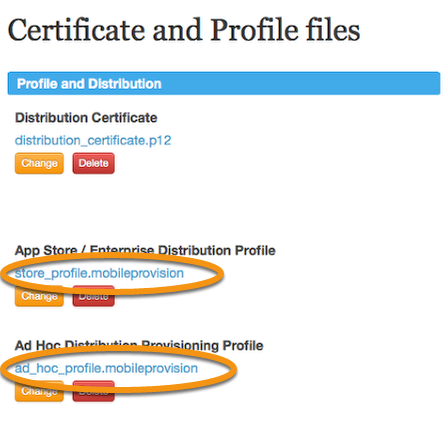 Download both the App Store and Ad Hoc Provisioning Profiles by clicking on their names. 4. After downloading, open the files in a text editor and search for the string "aps-environment." 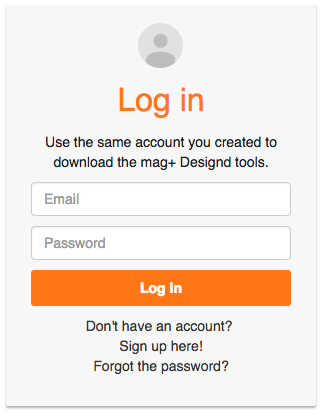 If both files contain those keys, then you can upload a Push Notification Certificate to the mag+ Publish portal. If they do not exist, you must create new distribution certificates, save them as provisioning profiles, upload them to the mag+ Publish Portal along with a Push Notification Certificate, and rebuild your app.